Situated in a short stretch of West Virginia between what is now Maryland and Virginia, Martinsburg (population 14, 972) was laid out in 1778 by Maj. Gen. Adam Stephen as a colonial village for the sole purpose of being the county seat of Berkeley County, Virginia. Martinsburg was an industrial town from the very beginning containing both a grist mill and an oil mill. Many Quakers and Scotch-Irish Presbyterians, along with the English and Dutch became residents here in the early 1700s. They were followed by the Germans who built many present farm complexes. Martinsburg is along the old Cumberland Trail, which was a major route during the 1700s and 1800s to points west and changed hands several times during the Civil War. 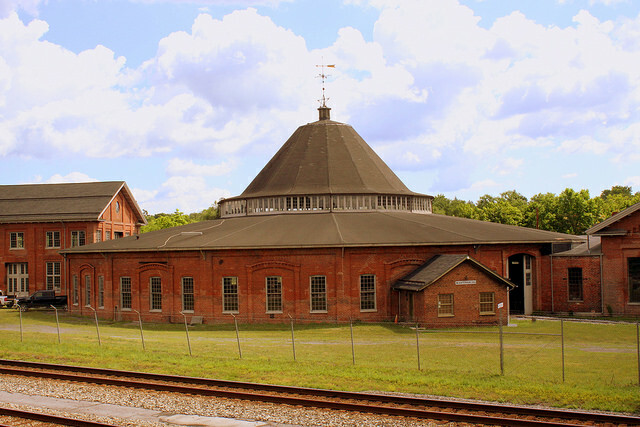 The arrival of the B&O Railroad in the 1840s gave Martinsburg and Berkeley County a big boost. During the Civil War, Martinsburg and Berkeley County, still a part of Virginia, experienced conflict and much destruction. After November 1863, Berkeley County became a part of the new state of West Virginia that supported the North. In 1872, the Pennsylvania Railroad came to the area, and it, along with the B&O Railroad, gave the area an excellent transportation base. In early times, a major source of the area’s income came from selling flour produced by the area’s water-powered mills to the Alexandria and Baltimore markets. Electricity, replacing water power, soon followed, and the area became a large textile milling center. Berkeley County has a wealth of historic, architecturally important buildings dating from the 1740s into the 20th century. Many of these buildings, including several districts and villages, have been researched and placed on the National Register of Historic Places. The city has 10 registered historic districts. Several of the properties include the Belle Boyd House (a Greek Revival mansion that was home to the famous Confederate spy), the Boarman House (one of the oldest brick buildings in town), and the Adam Stephen House (native limestone). The Berkeley County Historical Society has created a walking tour guide of Martinsburg’s historic properties and has produced a brochure of them. The Society organizes Heritage Days during the second Saturday of May each year. Trolley tours throughout downtown Martinsburg and period reenactments are available.